Local ophthalmologist Dr. Snow Slade of St. George Eye Center spends several weeks each year traveling to various countries to provide training, vision care, and surgeries to those in need. His most recent humanitarian trip took him to Liberia, West Africa, where he spent a week providing needed surgical procedures to patients suffering from various forms of glaucoma—one of the most common eye diseases in the world. Glaucoma happens when extra fluid builds up in the front part of the eye, thereby increasing the pressure in the eye, damaging the optic nerve. There are two major types of glaucoma: primary open-angle glaucoma (the most common type) and angle-closure glaucoma. Primary open-angle glaucoma happens when the eye does not drain fluid as well as it should. As a result, eye pressure gradually builds and starts to damage the optic nerve. Angle-closure glaucoma happens when the iris is very close to the drainage angle and, in some cases, can block drainage, causing eye pressure to happen quickly. Regular eye exams are vital in detecting early signs of glaucoma and preventing damage to the optic nerve. For those in many parts of Africa, regular eye exams are hard to come by. Early detection and preventable measures are often unavailable to them, and they suffer the effects of glaucoma, which can lead to blindness. Liberia currently has three ophthalmologists for the entire country of just under five-million people. Dr. Edward Gizzie is the only native trained eye surgeon in Liberia. 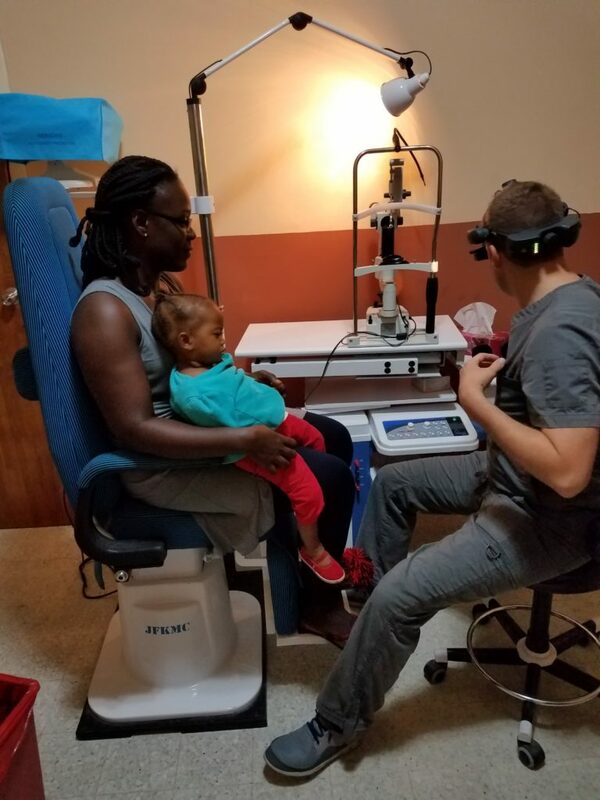 During Dr. Slade’s visit, he was able to examine about 150 individuals with various eye problems, and operated on six patients who needed acute surgical care. One particular 5-year-old girl, Chioma, had congenital glaucoma and had been treated unsuccessfully with expensive topical medications. 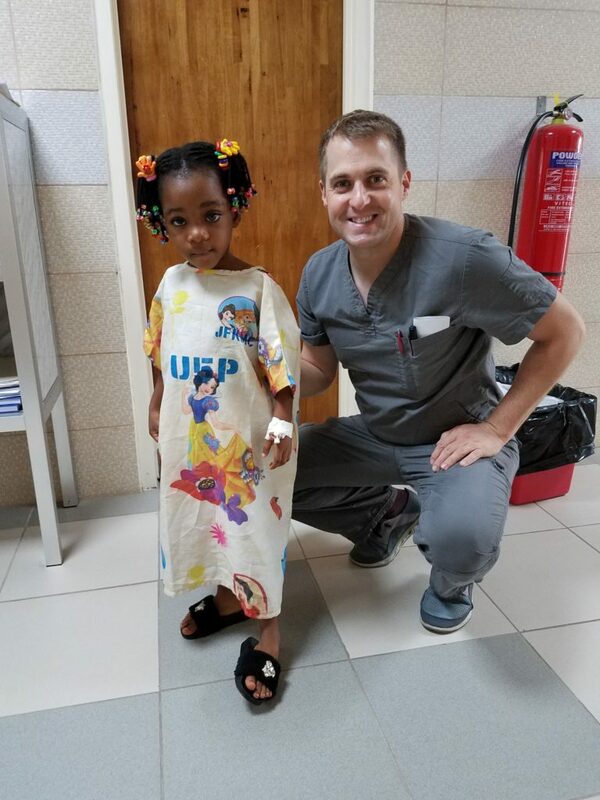 Dr. Slade was able to successfully operate and insert a glaucoma stent to relieve the pressure on Chioma’s eye, which eliminated the need for further topical medication, saving the family about $50 per month. Angela, another patient of Dr. Slade, is a 20-year-old who had congenital cataracts. She had undergone complicated cataract surgery and over time had developed glaucoma. Angela had lost a large part of her vision and, without any intervention, would have gone completely blind. Dr. Slade and his team implanted glaucoma drainage devises, and in following up with the doctors they found that the pressure in Angela’s eyes are now low, and her condition is now being managed with glaucoma medication. Many have helped make this possible for the people of Liberia. LDS Charities, who sponsored this trip, has been working in Liberia for a number of years and has donated much-needed surgical equipment. The L.V. 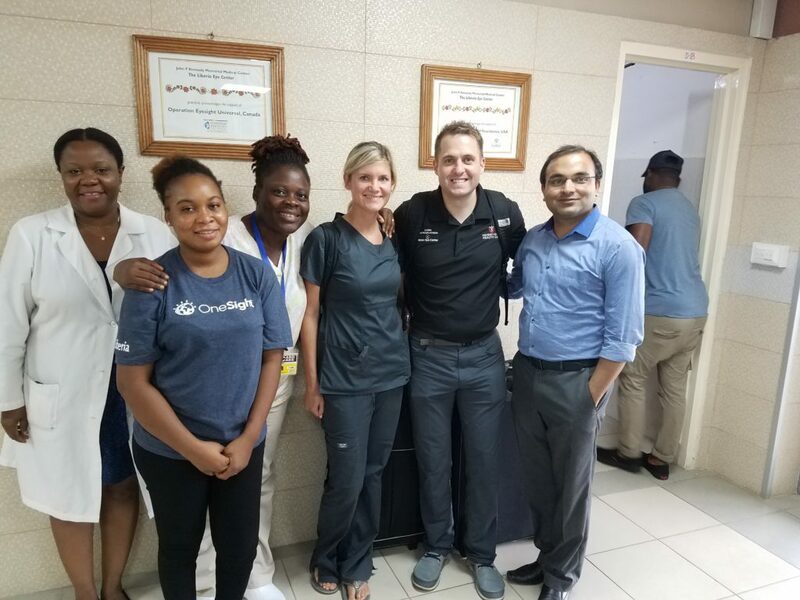 Prasad Eye Institute in India provided the necessary eye systems to fit the needs of the people in Liberia, and physician training in glaucoma procedures. Lion’s Club International donated half a million dollars in equipment to the Liberian Eye Center at JFK Memorial Hospital. This equipment provides backup generators for consistent operating sessions. The Cooper Clinic, run by the Seventh-day Adventist church, provided 1000 intraocular lenses and associated supplies. 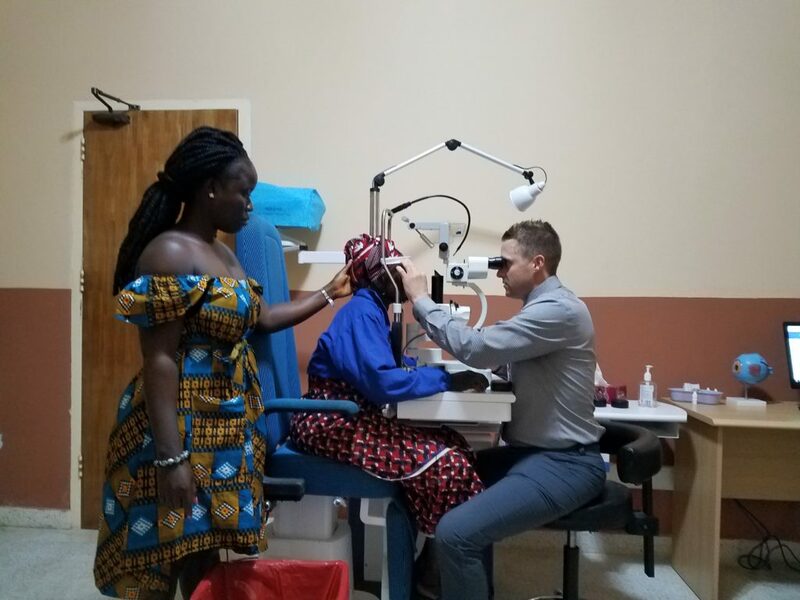 Dr. Slade is already making plans for another LDS Charities sponsored trip to Liberia that will take place next year, and focus on helping those suffering from incurable cataracts. LDS Charities will be donating an operating microscope, which will benefit those needing safer and more reliable cataract surgeries. With so much global tragedy, stories like this can help us see that, when we work together, we have the power to change the world for good.